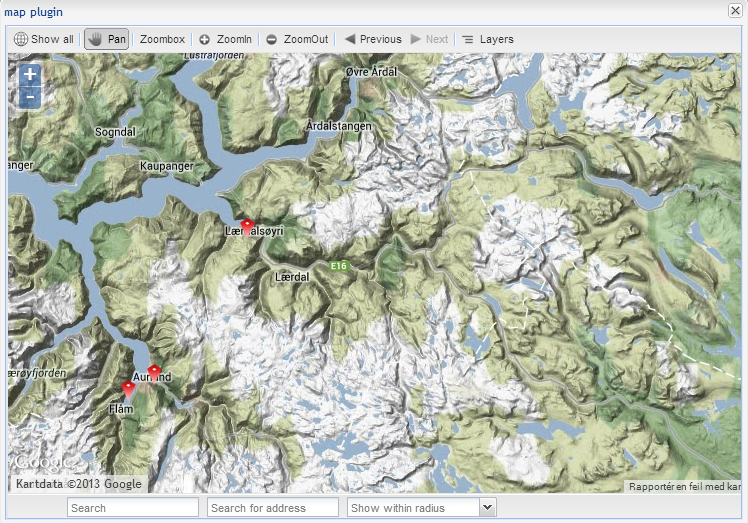 Enhanced support for working with maps in image archives with browser access. 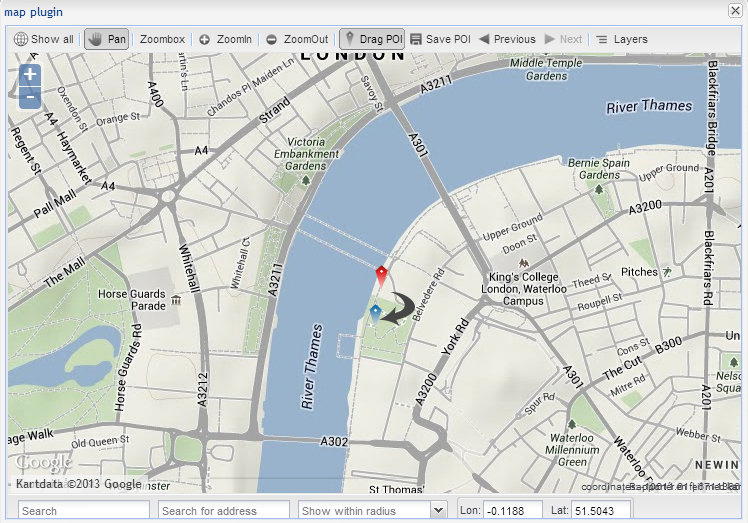 PressIT’s Map plugin extends the support of geotagging of images and makes it possible to edit locations of images, searching for images in geographical locations and compare different images’ locations on the map. Images are shown on the map from precise geographical coordinates. All this functionality and more is available in a window directly in the browser. 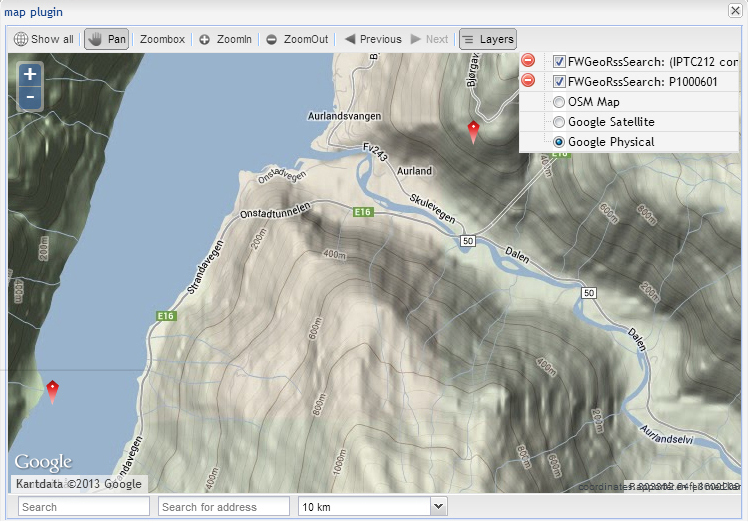 Map Layers: The plugin supports the use of various map layers (i.e. maps with different type of information, for example Google Maps and ESRI/ArcGIS). This way the plugin can be easily customized with the maps used within an organization by specifying the available map layers. The user can choose the layer to show from a drop down menu on top of the plugin. 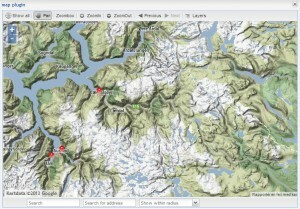 Image location – Search hits: Multiple image locations can be viewed in a map to compare various images locations. Image location – Preview page: When viewing an image, the geographical location of the image (taken from coordinates in the metadata), is shown with a pin on the map in the plugin. Search archive: by entering a search term, the map will pin all locations with images containing the searchterm in the metadata. Search for address: enter an address to find images from this location. Show with radius (5-200 km): shows all located images in the map which are within the specified distance from the active image. The located images are shown on the map with pins, clicking on a pin brings up a thumbnail of the image and a link to view it in a preview page. Users with rights may also add locations to images without specified geographical locations, and edit existing locations. This is done by simply dragging the pin on the map to the requested location and saving the new position. 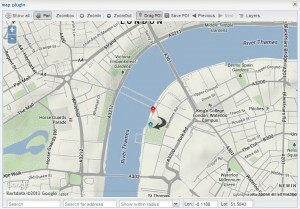 The user is provided with tools for zooming in and out in the map and a zoombox to select an area to zoom in on. Movement in the map is provided by panning functionality.